When you're in love, it feels like you're living in paradise. But the truth is, even when we're in love, we still make mistakes. Suddenly paradise doesn't seem so perfect. But don't fret. When it's time to say, "I'm sorry," Stauer's got you covered. Flowers and candy just won't do. She wants your apology to be as original and thoughtful as the man she fell in love with. She wants you to melt her heart and remind her how much you care. You need Stauer's DiamondAura® Paradise Pendant to bring back the peace. 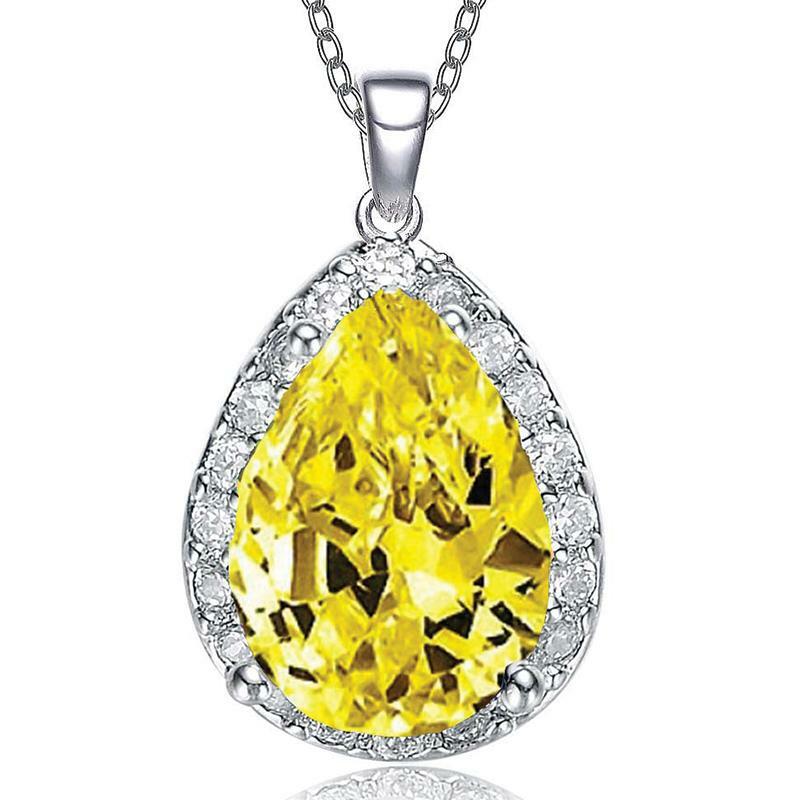 This unique pendant features over 2-carats total weight of DiamondAura that shines brighter and with more sparkle than natural mined diamonds. 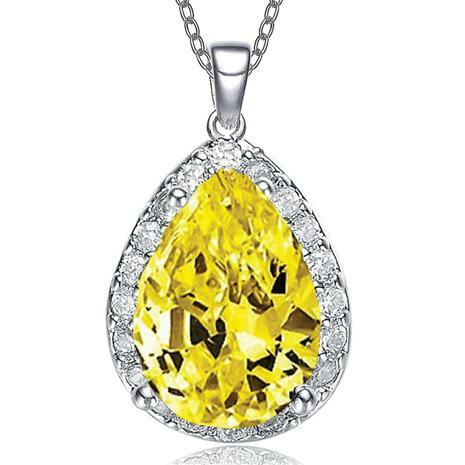 The center is a showcase of over 1½ -carats of yellow, pear-cut DiamondAura surrounded by 25 round-cut DiamondAura. When it's time to say "I'm sorry," let Stauer's DiamondAura Paradise Pendant speak for you. A romantic reminder that the best part of paradise is the person you're with.